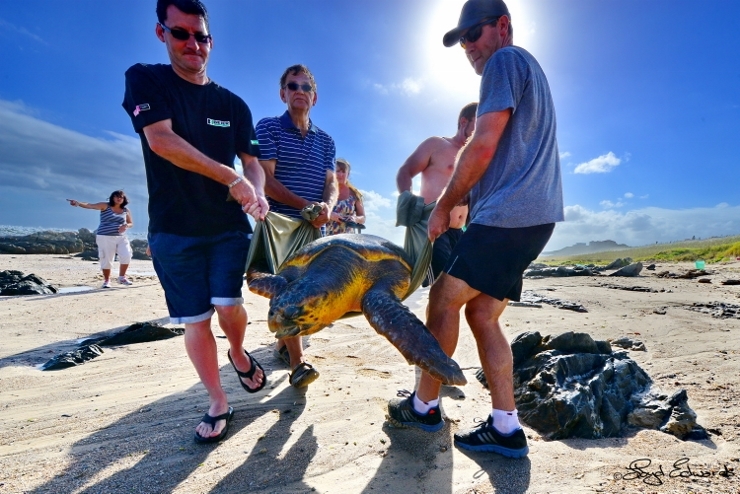 Raggy Charters rescued a green turtle yesterday thanks to the help of the Seaview community. We had the first call at 12pm while we were still out on a whale watching cruise. We instructed the people attending the turtle to keep it wet and as calm as possible. 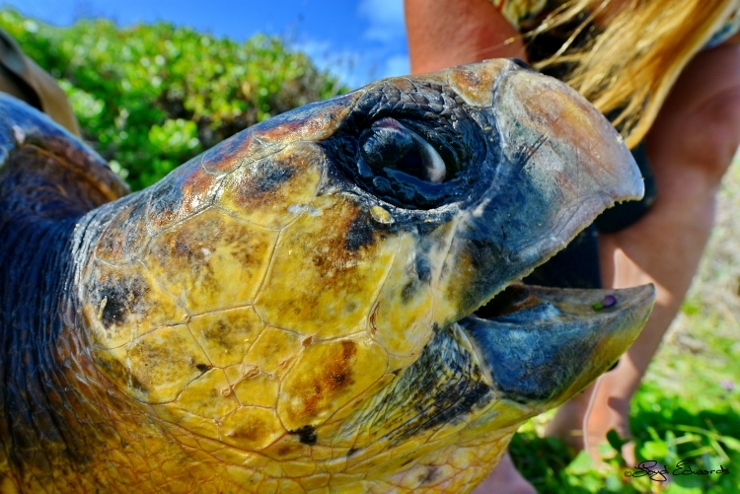 On returning to Seaview the group of assistants had grown and everyone was getting to learn more about turtles. After many phone calls we eventually managed to get the Bayworld "turtle squad" to come and assist. They brought out the stretcher and whisked him (his winky was protruding!) away to a safe pool at Bayworld, a rehabilitation centre for wounded sea animals. 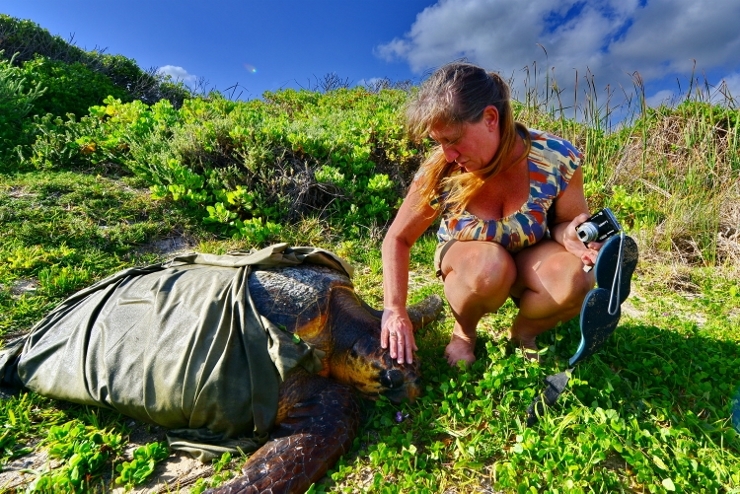 They explained to us that it would not be a good idea to let 86,2kg turtle spend too much time on its stomach . . . a tranquil pool would be a much better idea. 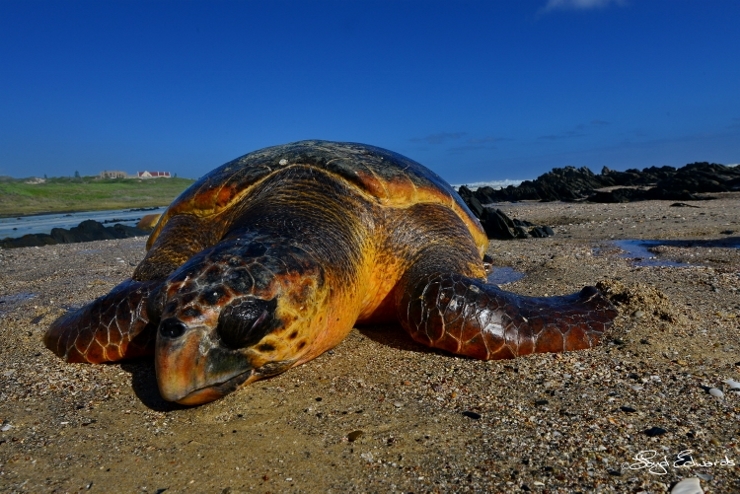 Green turtles are an endangered species found in tropical and subtropical waters all over the world so we truly hope this poor guy recovers and released with full health. Rogan from Bayworld has promised to keep us up to date with 'Greenie's' progress.